How to Set up VPN on Mac? Hi, there. I was on my way of business on China at the airport. At the time I am waiting for my flight, I would like to get some resources from my Company which is based on New York, United State. I am using a Mac laptop. How can I get the data by remote with encryption network while I am connecting to the airport public Wi-Fi? I had ever seen my colleagues who used to set up VPN on their Macs and then use VPN service to get data outside our company. I do see VPN settings on my Mac. But I don’t know where I should start first. How to set up VPN on Mac? That is a big problem for me. Please help! Why do people want to setup a VPN on their Macs? How to set up VPN on Mac? Nowadays, with the rapid development of IT technology, VPN service is more and more common for kinds of people. 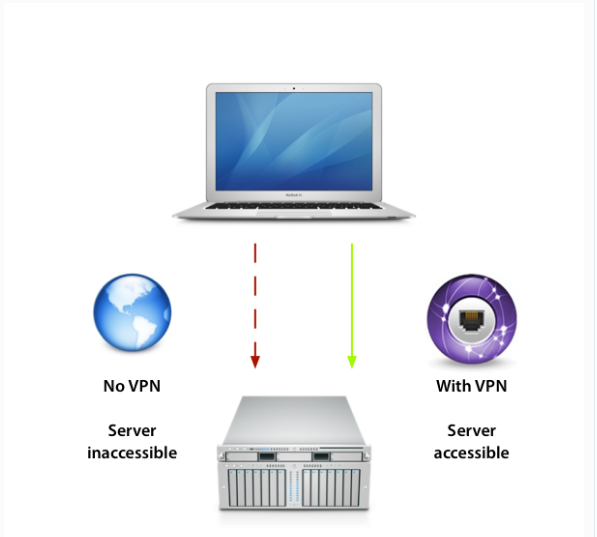 VPN is short for Virtual Private Network, which is a type of Internet connection that allows users to establish a secure connection between a computer or a mobile device and a server. A VPN connection can allows you do to kinds of things. It allows you to get connected to a private network where is built a firewall over the Internet. VPN service is very suitable for a company network which can help you encrypt the company network to in case hackers access the company’s network and then pilfer company’s trade secret. Thus, most companies choose to set up a VPN for their company network to protect data from being revealed via Internet. For personal use, if you set up a VPN on your Mac, you can protect your network security while you are online, especially connecting to a public Wi-Fi like hotel, restaurant, coffee house, airport, hospital, as well as other public places. How to Choose A VPN Service on Mac? Apple Mac computers are famous and used by lots of people around the world because of its stable and fluent operating system. 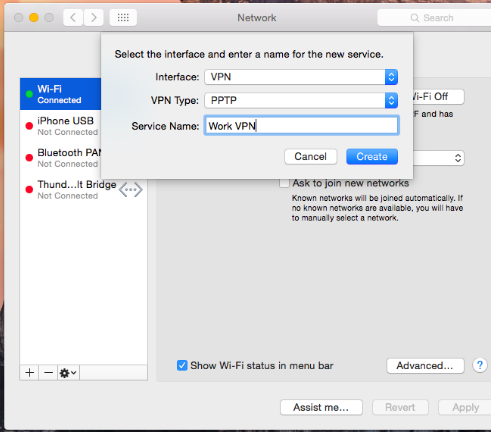 Mac computers have built- in support for managing VPN connections. Although there is a VPN connection on your Mac, do you know how to choose suitable VPN server for your Mac? Set up a VPN on Mac can help you be away from being snooped by the governments around the world as well as cyber criminals. Obviously, a VPN on Mac can help a lot to help secure you and your data. Besides, VPN on Mac can allows you to visit any websites which are blocked by the government or ISP. It allows you to gain access to geo-blocks so that you can watch videos on Netflix. Thus, what are you waiting for? Come on to pick the best VPNs for your mac. Worry about how to set up VPN on Mac? Take it easy! Make an appointment with YooCare 24/7 hours Agent, then YooCare Experts will remote your Mac and help you set up VPN on Mac at the request time. What to consider when choose VPN for Mac? 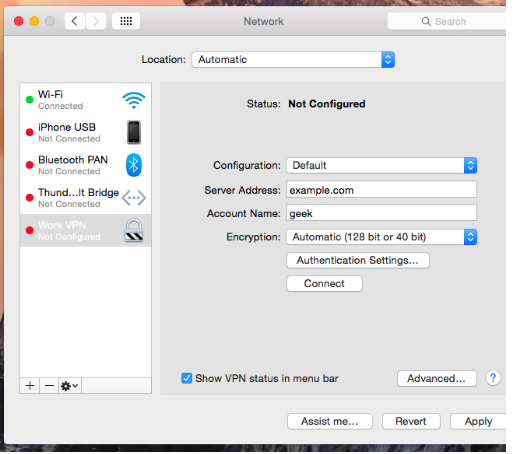 Want to set up a VPN for your Mac? How to Set up VPN on Mac? What should you pay attention to so as to ensure the perfect secure on your Mac? Now here comes the question: free VPN or paid VPN, which one is better? Almost everyone loves free stuff. However, when it comes to concern about security service, it is strongly suggest you pay for what you want to get. Hence, before you choose a free or a paid VPN, you should think about the above four tips. In order to make your clearer, you can take a look carefully on the following tips. -Can stream Netflix from other countries. How to Set up VPN for Mac? Set up VPN for Mac is quite common for the majority of Mac computer users. After you buy a VPN, you will get an account. Before you move on, please note that you have gotten all the needed information prepared. 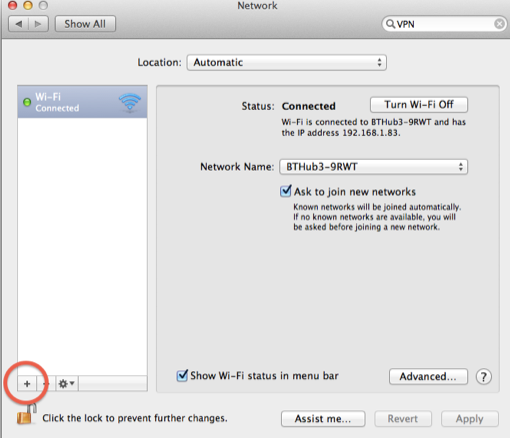 Once all things are ready, you can follow the following manual guide to set up the VPN on your Mac by yourself. But, if you are not familiar with VPN set up process when you see the following steps, you are suggested to Live Chat with YooCare Online Expert for further help. Step 1: Click the Apple menu, select System Preferences, and click Network or click the Wi-Fi icon on the menu bar and select Open Network Preferences. Step 2: Click the plus sign button at the bottom left corner of the window and select “VPN” in the Interface box. Choose the type of VPN server you need to connect to in the “VPN Type” box and enter a name that will help you identify it. Step 3: The “Authentication Settings” button allows you to offer the authentication you’ll need to connect — anything from a password or certificate file to RSA SecurID, Kerberos, or CryptoCard authentication. The “Advanced” button allows you to configure the VPN connection in other ways. Step 5: When you finish all settings steps, please click Apply button to confirm your settings. And you’re kindly suggested to enable the “Show VPN status in menu bar” option. Then you will get a menu bar icon to manage your VPN connection. The menu bar icon can easily help easily connect to your VPN and disconnect from it as necessary. Once the new VPN connection is successfully created, back on the Network & Internet window, keeping the VPN category selected from the left pane, click to select the newly created VPN connection from the right. If you don’t know how to use VNP or are afraid of any severe problems happening when you handle any VPN errors problems by yourself or you need expert advises to recommend advanced and excellent VPN server, you are recommended to contact professionals for tech support! Kindly Reminder: If you have any question regarding how to Set up VPN on Mac, please live chat with YooCare online expert for help.